after every 5 turns, flip a coin. 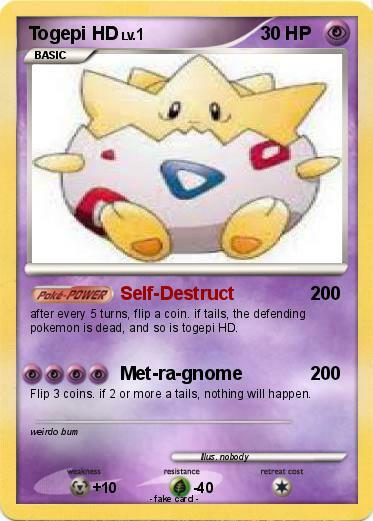 if tails, the defending pokemon is dead, and so is togepi HD. Flip 3 coins. if 2 or more a tails, nothing will happen.